1.Do they have the product or service the customer wants? 2.Do they treat the customer as if they WANT his business? Customer service is often the decision-maker for many consumers: if they are treated well, they will buy, they will come back often and they will recommend the company to their friends, resulting in more sales. The same holds true if they are NOT treated well: they will not buy and they will not return. However, they will tell at least 10 other people of their negative experience. The quality of customer service simply cannot be ignored. What Is A Customer Service Audit? The purpose is to evaluate the company from the customer’s perspective in terms of employee attitude, general service provided and overall image of the company in general. It is imperative for a company to see itself from its customer’s perspective, in order to insure that each and every customer receives the quality of service promised. If there is any area with poor quality of service, an audit will identify that area and recommend means of improvement. An overall increase in sales, customer satisfaction and employee performance and satisfaction will result. How Does A Customer Service Audit Work? Trained auditors will contact the company’s locations in person and by telephone. These contacts will fit in with those of normal, everyday customers, in order to provide the most realistic review. The auditors will then complete evaluation forms on various aspects of their contact. These evaluations will be tabulated and compiled into a review of basic customer service in all areas. Any areas needing improvement will be identified and recommendations made on how to make those improvements. All programs are customize to fit specific needs. Contact Shoppers, Inc. for a customized program and price quote. The cost depends on the company size, but generally ranges from $100 - $250 per location. 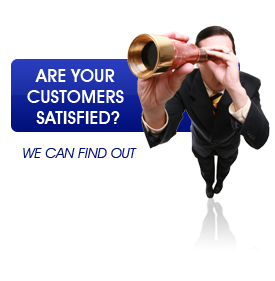 I'd like to know have more information about using a Customer Service Audit in my business (click here).